This congressional exposé contains much hard-won wisdom and heartfelt critique, and should be read by every concerned citizen. 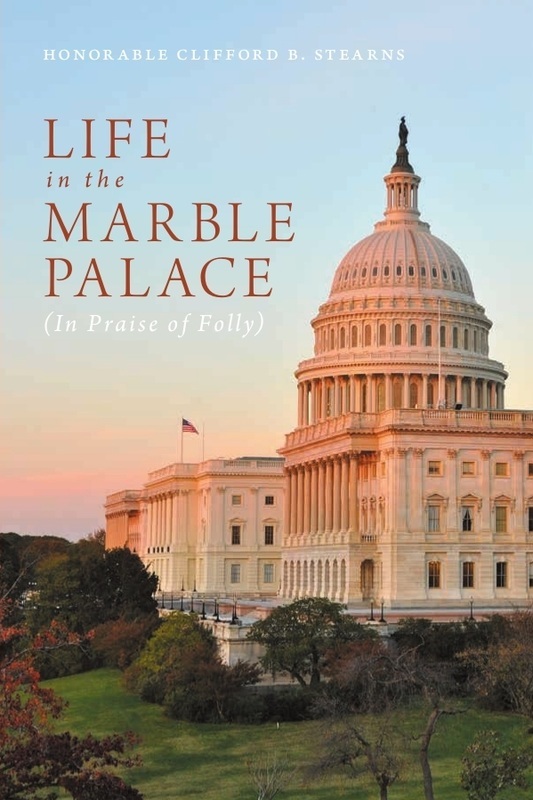 In Life in the Marble Palace: In Praise of Folly, Clifford B. Stearns, a twenty-four-year member of the House of Representatives, lifts the curtain on what it’s like to be “on the board of the most powerful body in the world—the United States of America.” Revelatory and sometimes shocking, Stearns’s report of what really goes on behind the scenes in the United States Congress is a call to all American citizens to wake up and take action to preserve what is left of the nation’s threatened democracy. Calling membership in the House of Representatives “the best job in America,” “an honor,” and “a sacred responsibility,” Stearns points to the Federalist Papers as indicative that the nation’s Founding Fathers wanted to create a new kind of republic, one that would disperse the power of factions or moneyed interest groups so that they could neither dominate the minority nor become a constant majority. Pointing out valid reasons why the United States is a nation unique in the history of the world, Stearns also notes that no democracy or republic has ever lasted more than 240 years, and from his vantage point of long-term service in Congress, he is aware of many problems and flaws that could lead to the nation’s collapse. Moreover, while in office, members of Congress must engage in constant fundraising, he says, as leadership roles are decided by the amount of money a member can raise and give to party efforts. This gives rise to scandals and to the undue influence of large contributors who demand not just access to, but influence in, the political process. Stearns’s warning that “he who is afraid to lose an election will never be able to do what is right,” is an example of his pithy and to-the-point commentary. His book takes a serious yet conversational tone to make a strong case for the need for change in the American political process. Especially illuminating is Stearns’s clarification of the concept of freedom, which must, he writes, be based on people’s ability to discipline individual desire and act for the greatest good of the whole, a characteristic which he finds sadly lacking in the general population these days. A timeline of world events from the years Stearns served in Congress, a collection of relevant letters and documents, a section filled with color photographs, and an ample index enhance this valuable contribution to American political literature. Life in the Marble Palace contains much hard-won wisdom, valuable historical information, political and economic analysis, and heartfelt critique, and should be read by every concerned citizen.